The above sounds dangerous whether you know or do not know the meaning of ectopic. Simply put, an ectopic pregnancy is one where you lose your child, still in the embryonic stage, you lose one or both of your fallopian tubes depending on how bad an eruption you have had, and in severe case you end up losing your life. 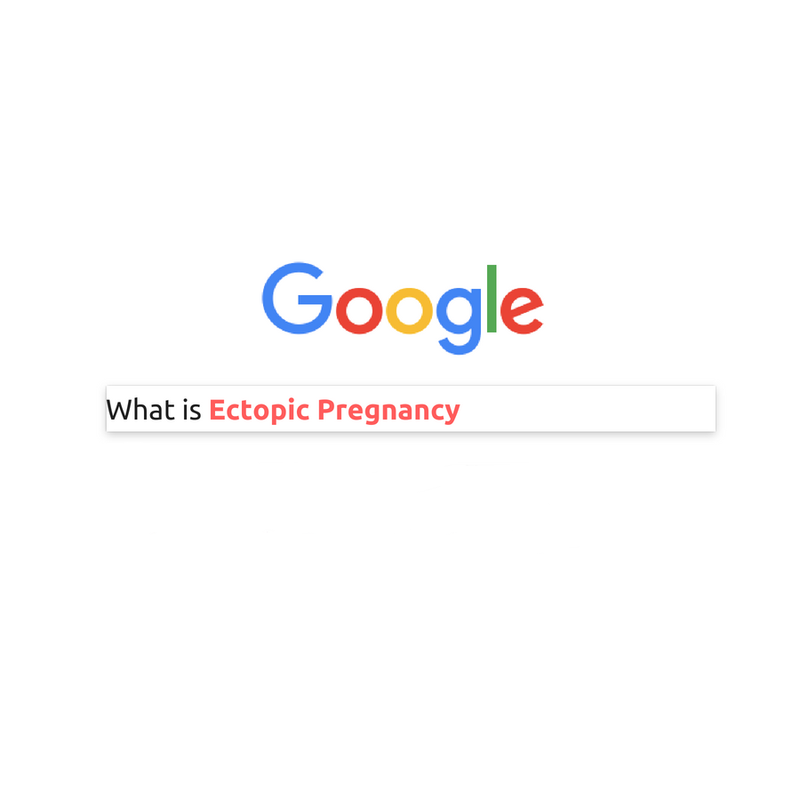 No, there’s nothing good about an ectopic pregnancy. What’s even worse are the material on it in the internet. After I had my ectopic 2 years ago, whatever I read on the internet was about how it changes life, for the worse. I read about the stories where it left women barren, full of pain, anxiety, horrific periods and even more horrifying pain in the abdomen, pelvic region and where not. I read nightmares about ectopic. Not exatly cherishable after you have had one yourself. What was worse was I had an abortion before having the ectopic. I was told that conceiving becomes double the trouble with one fallopian tube gone. I was assured I had another beautiful fallopian tube and there are chances. But somehow, strangely though, none of the negatives of the situation got registered in my mind. I had conditioned myself to believe that expanding my family, member-wise would be easier for me. I proved myself right by giving birth to a beautiful girl last October. Oh, just for mentions, I got pregnant within 6 months of the ectopic. Okay, so let’s get this right. This post is about what ectopic is not. There is somewhere a very weird notion about all our diseases. Can you think that this Multiverse, that exists for our benefits, that is full of compassion, can do something to your body that van never get healed? The obstacle to healing is in our minds, only in our minds. Okay, so I read all that depressing literature about ectopic online, and after a week of voracious reading, I promised myself not to ever read on it. And while still in rest, I promised that once I heal completely from the aftermath of the ectopic, I will write about what it is not, and that it DOES NOT leave a woman crippled for a lifetime. does not make you cranky. Our hormones are fluctuating all the time. does not give you joint pains before age. I had sprung back to normal work 4 weeks after my ectopic. I was pregnant before 6 months had passed. I had an uncomplicated pregnancy and childbirth. Had it not been that promise I made to myself about writing the most optimistic and based-on-true-story kind of post about Ectopic, I might not have remembered having it at all. The ectopic pregnancy had not been a life-changer (in worse terms) for me. It is a part of me without any bad connotations. Except perhaps one. The embryo that was extracted along with the fallopian pipe. The embryo that could have developed into a child. But then, I belong to the spiritually intellectual land of the East, the homeland of the Buddha and the Shiva, the land of Shakti, the goddess. We believe in re-birth, bonds beyond death of the mortal body. Who says that embryo didn’t again get planted in me, and bloomed in the form of my beautiful daughter.